The Heath 12-Light Chandelier has a strong personality, demanding all the attention in the room. The rectangular geometric design brings a vintage modern element to your home while adding texture and style. A dark bronze finish is expertly accented by antique brass sockets, so you can place this chandelier anywhere you need a great statement piece. Add a vintage Edison candle style bulb for a trendy vintage look or modernize the light with a tube shape or small round shape bulb. The options are endless! Casual with a contemporary flair, Bravo possesses a smart simplicity to complement today's home. Generously scaled glass shades add distinction and provide pleasing illumination to your room. Coordinating fixtures from this collection let you decorate an entire home with confidence and style. 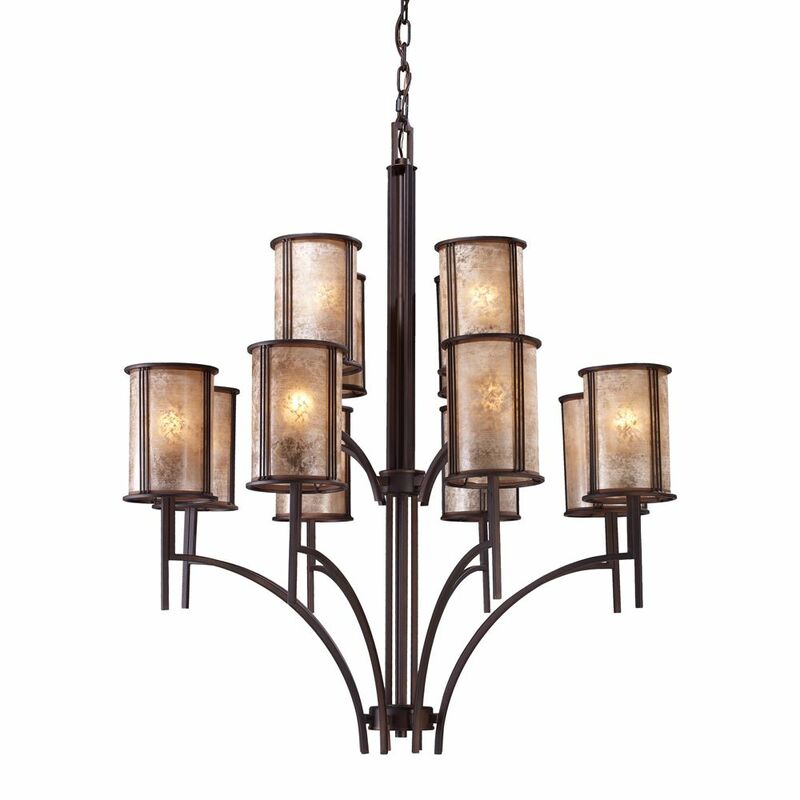 Twelve-light, three-tier chandelier with white etched glass from the Bravo collection. Linear elements stream throughout the fixture to compose a relaxed but exotic ambiance. Generously scaled glass shades add distinction against the Antique Bronze finish and provide pleasing illumination to your room. Bravo possesses a smart simplicity to complement today's home entirely with confidence and style. 12-Light Ceiling Mount Aged Bronze Chandelier Emulates Simplicity Of Form And Clean Lines Inspired By The Mission Period. This Was A Time For Craftsmen To Purify Over-Excessive Ornamentation Revealing The Forms That Lie Beneath. The Warmth Of Tan Mica Shades And An Aged Bronze Finish Adds To Its Character.